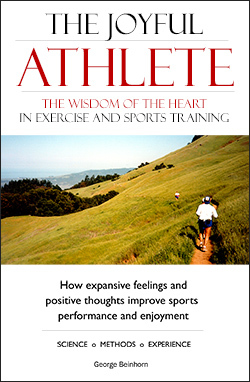 Dr. Armando Siqueiros managed high school superstar Jordan Hasay’s career with wisdom and humanity. When I stopped running ultras, I mentioned the fact to Joe Henderson. He told me he’d noticed that the stages of a runner’s career typically last six or seven years. The notion that a runner’s career advances in orderly stages fascinates me. Taking my cues from an ancient concept of yoga, I’ve come to believe that runners experience the stages in a specific order: body, heart, will, mind, soul. The first six years of a runner’s career are for the body. The principal “work” during that phase includes achieving fitness and answering basic body-level questions – what shoes to wear, what fuels to take, how much to drink, how to build mileage, how to train, how to carry water, etc. Things get more interesting when we’ve answered those ground-level questions and can relax and “just run,” confident in our fitness and our understanding of shoes, fuels, etc. We begin to look for new adventures. Perhaps we’ll try a 10K, a half-marathon, a full 26.2, maybe an ultra. It’s the “feeling stage,” when enthusiasm and inspiration guide our running. I remember how much I enjoyed that period. As I built up my distance, I ran almost exclusively on trails in the foothills of the Sierra, always alone and often shirtless, padding through old-oak forests with kitkidizze shrubs brushing my ankles. It was the time when I began collecting names for my annual Every Runner’s Friend Award. Every year, around December or January, my mind would turn to the runners who had inspired me during the preceding twelve months – not for their running achievements, but for actions that revealed expansive human qualities. I never wrote down the list – I carried it in my heart. It was a gathering of runners that I was sure I could walk up to and talk with as friends, despite their fame or elite stature. At the start of 2010, reviewing my All-Time List, I had no trouble reciting the top five or ten. High up near the top was Joe Henderson. Why? – well, because Joe simply is every runner’s friend – and always has been, since I first met him in 1970. Another high-ranking runner is Mark Plaatjes. A former world marathon champion, Mark wins his ERF plaque for two reasons. First, for the sincere regret he felt at narrowly beating a personal friend at the world championships; and again for his unselfishness when an injury forced him to drop out of the New York City marathon while he was running in the lead pack. Instead of retreating to his hotel to sulk, Plaatjes ambled to the nearest first-aid tent and began applying his skills as a professional sports therapist to massage the slower runners. Then there’s Ann Trason, the greatest female ultrarunner of her time. I’m fully aware that in his book Born to Run, author Christopher McDougall flayed Trason for losing her cool at the Leadville Trail 100-mile race, the year she was in an all-out competition against the visiting male Tarahumara runners (and darn near beat them). At one point, Trason glared at the indios while they refueled in the same aid tent. McDougall seized on this to portray Trason as the uber-competitive American who lost to the gentle, playful Tarahumara. In fact, nothing could be further from the truth. Trason was an elite runner in a branch of the sport that drew no prize money, no great fame, and no hype. She surely could have had a lucrative career as a professional road marathoner, but chose instead to run trail ultras because she loved the sport. Over the years, she inspired and helped thousands of less-talented runners. I remember stopping to watch a road 100-mile race at Gibson Ranch in Sacramento, on my way home from a trip to the Bay Area, and seeing Trason, who wasn’t entered, lovingly encourage the competitors, running alongside Kevin Setnes, handing him fluids and wiping him down with a sponge. 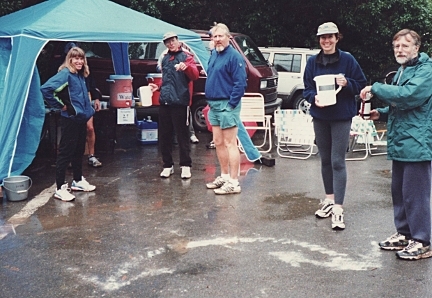 Then again, I was delighted, both years I ran the Quadruple Dipsea, to find Ann working the aid station in Stinson Beach, handing out goodies for no greater reward than the pleasure of helping old codgers like me. And when I ran the What, Mi-Wok? Trail 100K, there was “the Ann” again, cheering the runners as they trundled through Tennessee Valley. We’re already in mid-January, but voting never closes for the award, and just this morning I was happy to add a uniquely deserving runner to the list. After watching several videos of talks by Dr. Armando Siqueiros, MD, a family physician in San Luis Obispo, California, I knew that if anyone deserved the title of Every Runner’s Friend, it was he. 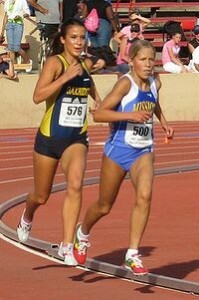 What makes Dr. Siqueiros special, for starters, is that he coached Jordan Hasay throughout her high school years. If you haven’t heard of Jordan Hasay, you probably haven’t been running for very long, or you’ve been living in Uzbekistan. Now a freshman at the University of Oregon, Hasay was by far the country’s most talented and successful runner throughout her high school career. For starters, she won the Footlocker National Cross-Country Championships as a 14-year-old freshman, a victory that she would repeat as a senior. The reason I’ve added Dr. Siqueiros to my list, and not Jordan Hasay, although she’s a wonderful person both personally and athletically, is for the way Dr. Siqueiros managed her training and career. Siqueiros had only been coaching two years when he met Hasay. He had taken the job as a volunteer, after some boys at Mission Valley Prep said they wanted to start a track team and asked him to be their coach. So, with just two years’ experience and almost no credibility, he was handed the most sensationally gifted runner of her generation. In the videos, he talks about the difficulty of his situation – how everyone expected Hasay to set a course record each time she ran, if not a national record, and how the media hyped her endlessly. As Hasay’s new coach, Siqueiros faced two difficult obstacles. First, he was committed to certain ideas that went against the grain of how other coaches might have guided her training. And, second, he refused to use Hasay, whether to satisfy the public’s lust for sensation, or to hype his own abilities. From the first, he was uncompromisingly on the gifted young runner’s side as an individual. At his first meeting with Jordan and her parents, Dr. Siqueiros handed them a list of former Footlocker national champions, going all the way back to the first race. He asked them to look over the list and read off the names of the Footlocker winners who had won an Olympic medal. He then asked them to name the Footlocker winners who had made the US Olympic team. Finally, he asked them to look for Footlocker winners who had won an NCAA championship in college. He explained that he wasn’t remotely interested in exploiting Hasay’s talent, and that he felt it was far more important for her to develop as a runner who would have a long, enjoyable career. He wanted to teach her how to train, how to plan her schedule, how to stay fresh, and how to avoid the burnout that had killed the careers of so many Footlocker winners. Siqueiros would quickly have a chance to back up his words. Hasay had been invited to the prestigious Stanford Invitational cross-country meet, and Jordan and her parents were excited and looking forward the trip. But Siqueiros told them that she should decline the invitation, because she wasn’t ready. Hasay’s parents were horrified. They ignored his advice and traveled to Palo Alto with their superstar daughter – who duly bombed and dropped out of the race. Siqueiros’ apparent ability to predict the future greatly increased his credibility. In fact, his judgment was based on sound observation. Hasay had shown amazing resilience in her training. She was never sore and never tired, no matter how hard or far she ran. The training that she had designed for herself was simple: every day she ran six miles, as hard as possible, in an all-out race to beat her previous PR. When she succeeded, she was elated, but when she failed, she was crushed. In races against other high school teams, she went out as hard as possible, usually building a 30- or 40-yard lead within the first 100 yards. Siqueiros knew that if she traveled to Stanford and raced against the elite juniors and seniors from all over the West, this tactic would be a disaster. The other runners would bide their time, run their own race, and devour her in the stretch. 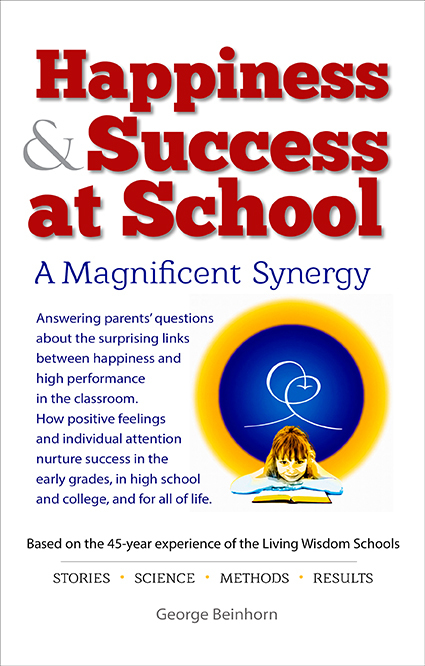 Siqueiros had won the Hasay family’s attention, and he immediately began teaching Jordan a set of principles that eerily echo those espoused by other great coaches, including Arthur Lydiard and Bill Bowerman. He convinced her to stop racing in training, and he persuaded her of the wisdom of getting plenty of rest. He helped her stop obsessing over times, forget the stopwatch, and run by inner feeling. And he unfailingly placed her needs above any ambitions others might hold for her. He flatly ignored the expectations of other coaches and the national media, who continued to hype Jordan Hasay as a budding college superstar and future Olympian. In fact, Siqueiros didn’t “coach” Jordan Hasay; he guided and taught her. He always saw her as a person, not a running machine that might satisfy his own or others’ desire for glory. He simply didn’t have those desires. Siqueiros had a defining quality of great teachers: he put the student’s needs first. He looked beyond short-term success and managed Hasay’s training for her own long-term fulfillment. He was concerned more that she stay healthy and be happy, than that she win races and set records. As a result, Hasay looked as fresh and enthusiastic in her final Footlocker race as she had four years earlier. It’s been said that America’s high schools and colleges are brilliantly designed to destroy the careers of runners. The hectic schedules, the doubling at meets, and the two long competitive seasons in just nine months, tempt many coaches to try to squeeze results out of their runners by the most expedient means. Thus, they grab at training methods that improve a runner’s speed in the short term, but contribute little to their longer-term development. Fortunately, that’s starting to change, as coaches like Armando Siqueiros demonstrate that the best results come by taking the long-term view, and focusing on the needs of the individual runner. It’s the view that Lydiard and Bowerman took with their elite runners. At least one US running team, MacMillanElite, is now helping former college stars rehabilitate their careers with Lydiard-style training. Dr. Armando Siqueiros, you’re on the Every Runner’s Friend List. Thank you for your inspiring example. Very interesting perspective on Ann. I used this post as research for a post I did. I mention your site and used the photo of Ann. Hope you don’t mind. It was for a good cause. See for yourself.